No flood insurance, X flood zone. Same long term tenant for years paying $2200. per month and utilities, 9.45% ROI. 2nd white fridge in kitchen belongs to tenants, same for washer/dryer. 1st floor has open, large kitchen, great room w/cathedral beamed ceiling; 2 bedrooms w/bath between; 2nd floor has 2 bedrooms, each w/private bath. New 2 ton HVAC compressor 2016. House priced to sell to creative buyer wanting a good real estate investment; or have a really large home in quiet cul-de-sac in center of beach. Exterior pressure washed, garage door and front doors painted; new range for kitchen & new kitchen vinyl floor. House has been freshly painted inside. 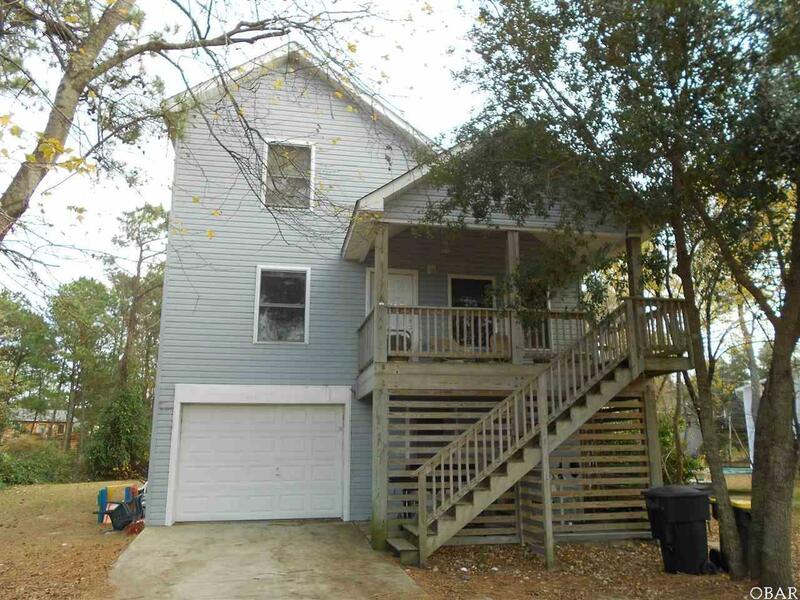 Listing courtesy of Marlene Brantley of Coldwell Banker Seaside Realty - Kdh.